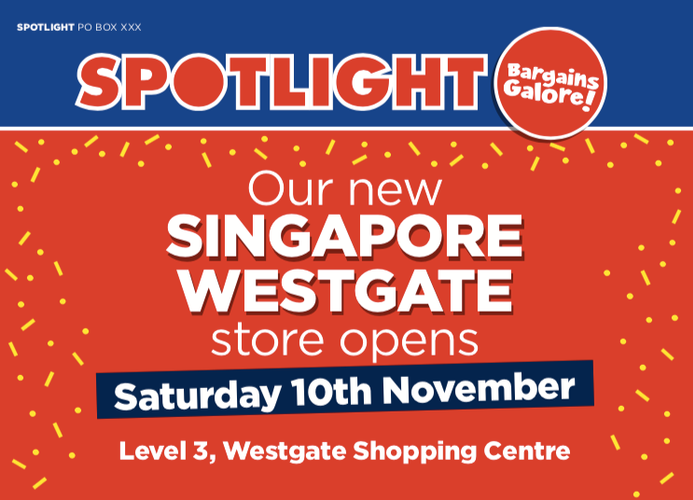 Australian retail giant, Spotlight, opens its second store in Singapore. To celebrate the opening, Spotlight will be giving away free Pillows to the first 200 visitors to the store in addition to games, giveaways, activities, face painting, balloons and more! It will be a fun-filled day for families!